A Quick Response (QR) Code image works exactly the same as a barcode. It houses all the information that you would need to access a website on a mobile device and that's exactly what this image to the left is. You can use a QR code for anything that has a URL (web address); to drive traffic to a website or blog, as a quick link to any social media profile, to generate immediate discount codes... the list is endless. You can quickly scan a QR code with your iPhone or smartphone using a barcode scanner application (usually free to download from your app market). 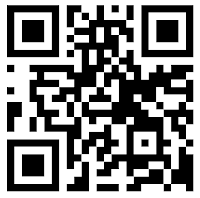 Use the image code provided to insert your QR code directly into a blog post. Right click on the QR Code and save to your computer. Upload as an image to your blog post, a widget in your sidebar or use on business cards. Let me know of any imaginative places you have seen or used QR codes.